Downloadable driver for Windows XP, Vista and Win 7, 8 and 10 in 32/64 bit for programming all 6 buttons. The driver is not required. 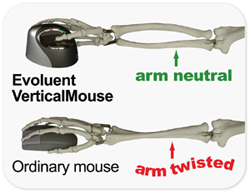 The VerticalMouse 4 still has basic functionality without it. 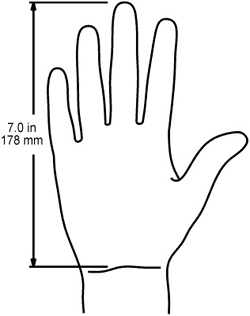 Question: Is there a wireless left hand mouse? Answer: Evoluent does not offer a wireless left hand mouse. But we have a wireless left hand mouse from Hippus Handshoe. This product was recommended to relieve pain of tendonitis in my elbow. It fits the natural form of my hand and forearm. It is easy to use and makes computer use more comfortable. I recommend for anyone currently using a regular mouse. A worthy investment. I love the convenience and comfort of this wireless mouse! I recommend this mouse to anyone and everyone!